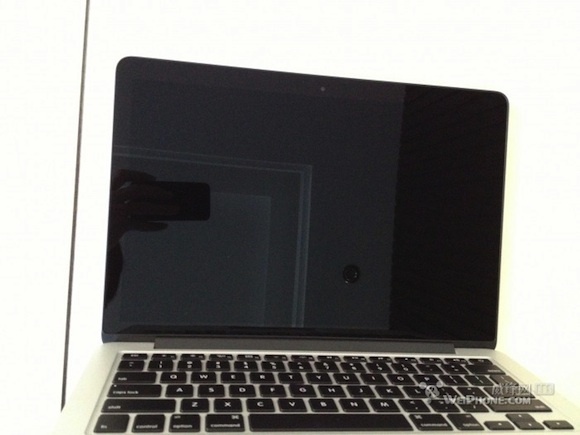 Earlier this week, we pointed to a forum thread [Google translation] at Chinese site WeiPhone.com sharing a pair of photos of what was said to be the display assembly from Apple's upcoming 13-inch Retina MacBook Pro. The poster of that thread has now updated the original post with additional photos showing a number of features of the machine, including the battery layout, the ports on the left and right sides of the machine, and a number of other internal features. 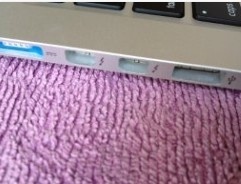 Unfortunately, the pictures are generally rather small and of low quality, but it seems clear that the poster does indeed have access to an unreleased 13-inch Retina MacBook Pro. Other photos include small shots of the main logic board, internals for the various ports, and 8 GB of RAM from Elpida. Several screenshots said to be of the machine booted into Windows 7 and showing an available Retina display resolution of 2560x1600 pixels are also included. 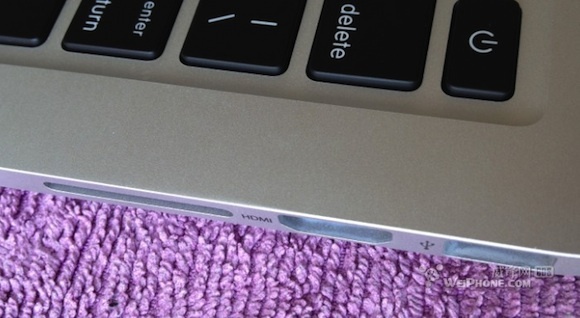 Update October 20 10:23 AM: The poster has added several more images of the 13-inch MacBook Pro, including several comparing it to the MacBook Air. 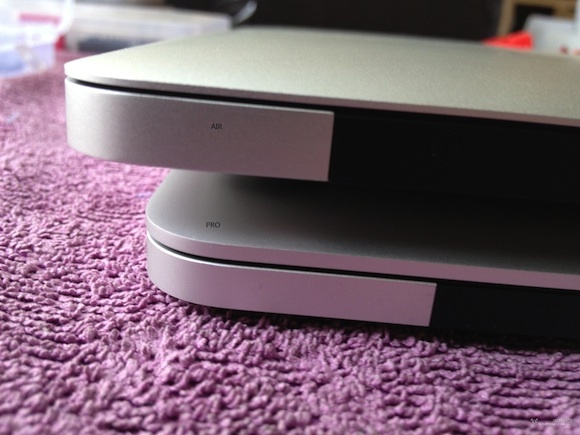 What's going on with the blue magsafe 2? So you expect this to sell for the same price as the $1499 13" Macbook Air which has a 1.8Ghz ultra low voltage CPU, 4GB memory, and a 1440x900 display? Can anyone actually confirm that this is a 13-inch mode and not just the 15-inch? It's definitely the 13 inch. It doesn't have the speaker grills from the 15 inch model. Why would you expect it to have an optical drive? Why does Apple even bother to hold a Media Event.By the time it starts we will know what they are going to tell us anyway. Yes, I know I am on a rumors site, bla, bla, whatever, I just want some surprises to be left over for the actual event. Is that really so much to ask for?